Eric Chavez hit .281 with 9 home runs and 44 RBI for the Diamondbacks in 2013. 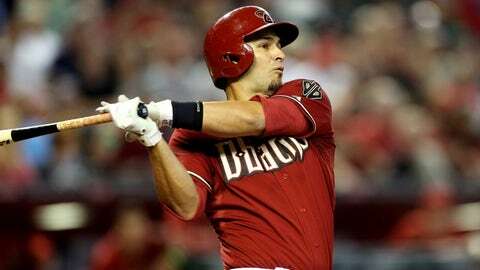 PHOENIX — Veteran free agent Eric Chavez has agreed to return to the Diamondbacks for the 2014 season, two sources with knowledge of the negotiations said Wednesday afternoon. Chavez will be the top reserve at third base and first base in 2014 following a year in which he averaged an RBI every 5.2 at-bats, second on the D-backs to Paul Goldschmidt among regular contributors. Chavez, who turned 36 on Dec. 7 and makes his off-season home in the Phoenix area, hit .281 with nine home runs and 44 RBI last season, a year in which oblique, knee and hip injuries limited him to 80 games. With the acquisition of Mark Trumbo to play left field, Martin Prado is expected to play regularly at third base this season, with Chavez serving as a left-handed bat against occasional right-handed starting pitchers or when Prado takes a turn at second base or in left field. Chavez also could could spell Goldschmidt on his infrequent days off and be a crunch-time pinch-hitter. Chavez was especially valuable early in the 2013 season, his first with the D-backs after playing two years with the New York Yankees, who pursued him again this winter. After second baseman Aaron Hill suffered a broken hand in mid-April, Prado played more second base and Chavez was used more regularly at third. He gave the D-backs a strong presence in the cleanup spot behind Goldschmidt, hitting .325 with seven homers and 25 RBIs the first two months of the season before suffering the oblique injury on May 30 that cost him a month. The hip and knee injuries came in the second half. Chavez played 51 games at third base and three at first base last season and was among the D-backs’ most effective pinch-hitters, going 5 for 16 with a homer and six RBI. 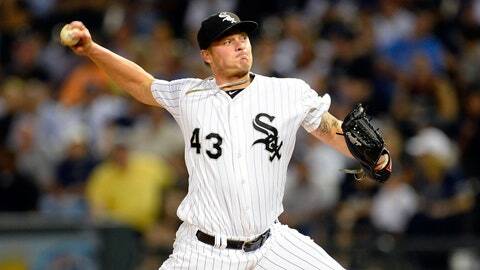 He also was used five times as a designated hitter.